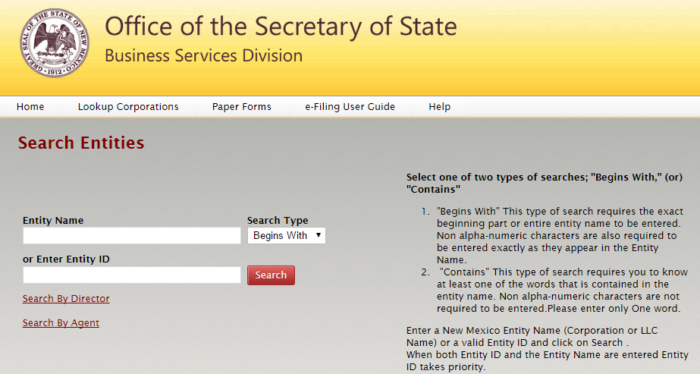 The New Mexico Secretary of State Corporation Search has an online page where users can search information about any registered business entity in the state. To hasten the search of the user, he or she must prepare the following details: Entity Name, Entity ID, Director, or Agent. Since searching from the New Mexico registry is a process, you are provided a step-by-step guide below. Step 1. Visit this page and you will be sent to the New Mexico Secretary Of State Business Entity Search section of the website, just click here. Shown below is a screen capture of the page. Step 2. There is a respective field for every information you have prepared. If you want to search the registry with the entity name, type the name of the entity on its proper field. Try typing “Gigablast” on the name field. You can also search for the company using the entity ID, director, or agent. Step 3. For faster searching in the website, enter information on these fields: Begins or Contains. Step 5. If you want to view more details about a certain company name on the results page, click on the Select button that is found at the end of the row. Check out the screen capture below. The New Mexico Secretary of State is elected into a four-year term. At present, Dianna Duran is New Mexico’s Secretary of State. From the year 1923, every Secretary of State of New Mexico was female. The New Mexico Secretary Of State Corporations is a constitutional office. 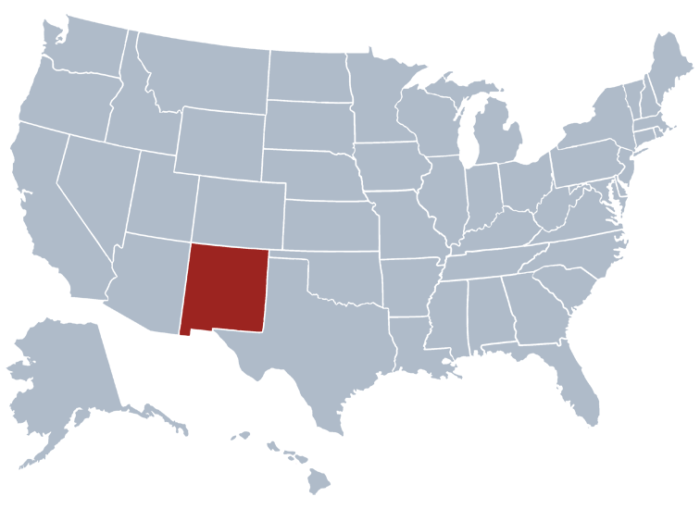 Different acts of the state are done under the authorization of the Secretary of State of New Mexico. Certain state protocols come from the office of the SOS. Public records, archives, and the official seal of the state are kept by the Secretary of State. Government documents found in the New Mexico Secretary Of State Business Search and automobile licenses are provided by the New Mexico SOS.